Earlier today, a photo began circulating online in Japan. “Fourteen minutes ago,” the commenter wrote. 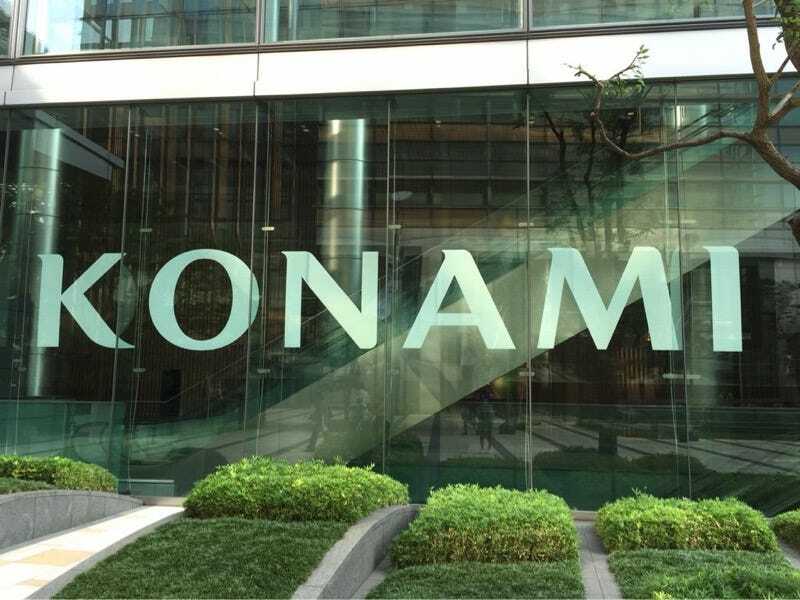 “Konami’s headquarters is totally burning.” But no, it isn’t. The thread on 2ch, Japan’s biggest net forum, states that the building was ablaze, and the pic was uploaded as proof. The image is also making its way through English-speaking Twitter. For what it’s worth, it’s not a Photoshop. It’s an actual photograph. Surely, this seems familiar? Back in 2012, photos circulated online in Japan of what looked like smoke coming out of the same Konami office. At that time, Konami told Kotaku that this wasn’t smoke and that the company’s offices were not on fire. Rather, what photos showed was a build-up of steam. Kotaku just phoned Konami’s Tokyo headquarters and a spokesperson confirmed that, once again, there was no fire and that, as with the previous incident, the most recent image shows steam, not smoke.